Tax help is just a call away! "Responsive, sensitive and articulate. Christine was well informed of the potential risks for my tax situation and addressed them thoroughly." – Wayne L.
"The hardest thing in the world to understand is the income tax." 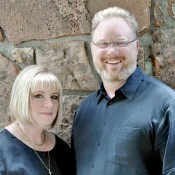 Both Brett & Christine are Enrolled Agents licensed to practice before the Internal Revenue Service and every state.